An important aspect of the coffee shop is avoid inconvenience, however we would like that our customers park at the designated spots. 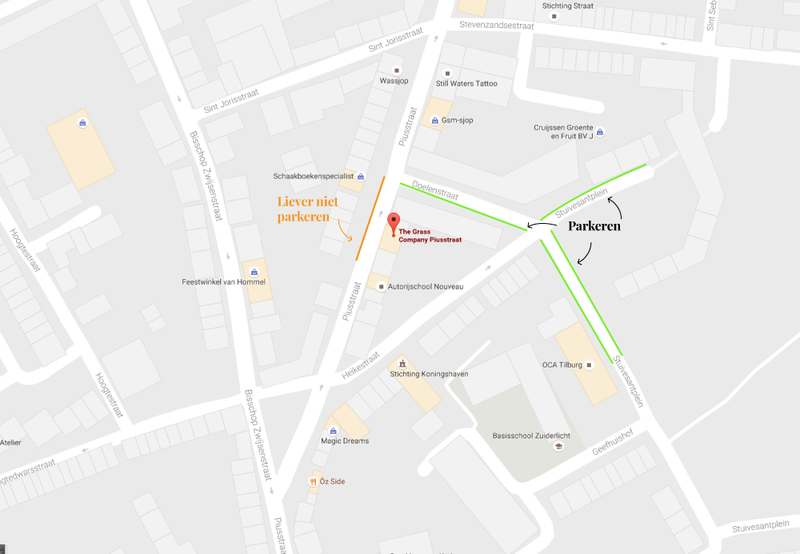 The complete address of this branch is Piusstraat 124, Tilburg. Through this link you can automatically get driving directions in Google Maps. It is possible to park right outside the door. But these places are actually meant for the residents of Piusstraat. However, there are parking spaces in the vicinity where it is much nicer to park. There is the doelenstraat, the first street on the right as you drive past the shop. Here are enough parking spots. When you leave this street, you come to the beautiful Stuyvesant Square. Here are more than 40 parking spaces. Here you can easily lose the car and prevent nuisance to the neighbourhood. Half of Stuyvesantplein is paid parking and the other half is free . In conclusion we would like to ask you not to stop in the middle of Piusstraat, this is a busy road with lots of traffic.